Though North Square was probably the first time I really took notice of Helen McCrory, it was in The Jury that she really stole my heart and for ages, it was this show that I fruitlessly referenced when trying to explain who she was. Written by Peter Morgan, The Jury played on ITV in 2002 over 6 episodes following a single court case as a Sikh teenager is accused of killing his 15 year old classmate. But rather than focusing on the case, as the title suggests the attention was the men and women that made up the jury and how the experience affected their lives in a multitude of ways. McCrory played Rose, a rather nervous woman with an overbearing husband (boo, Mark Strong) who unexpectedly finds a sense of freedom in being allowed out into a new world and seizes the opportunity with both hands. Stuck in a room with people she doesn’t know, she almost reinvents herself from scratch and find herself increasingly drawn to Johnnie, who is played by a pre-Hollywood Gerard Butler (so who can blame her). He has his own challenges from a troubled recent past though and so whilst the sweet relationship that builds between the two is beautifully essayed as one senses the genuine spark between the pair, the small matter of his demons and her husband remain in the way. 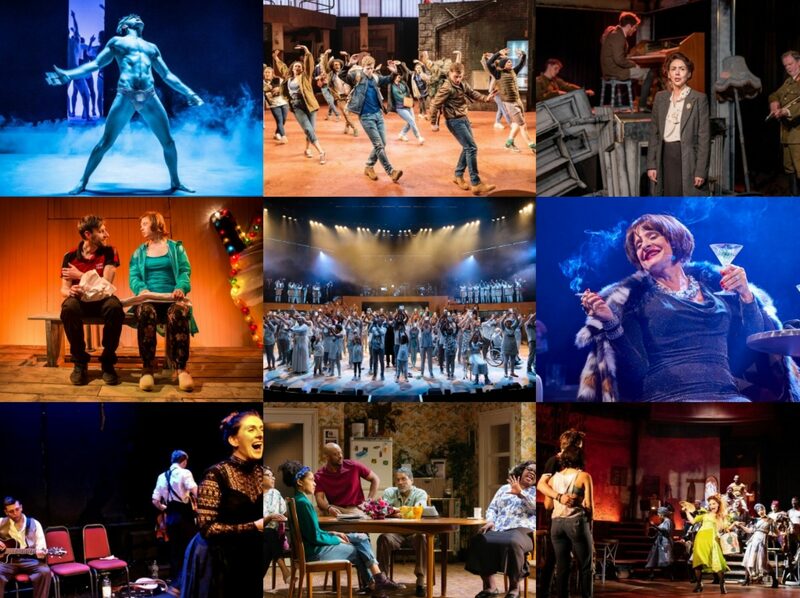 It is close to my favourite of Helen McCrory’s roles as it allows her to display her gift to its fullest. Rose is ‘just’ an ordinary woman, yet McCrory brings her to extraordinary life as she blossoms from someone terrified of their own shadow to a woman who has the confidence to make her voice heard in both the pursuit of justice and in deciding what is right for herself. Butler also offers a sensitive performance, reminding us of the actor behind the abs, connecting well with Rose and it remains a piece of television that I adore for bringing this actress to my attention. But it is an ensemble show and this is just one of many strands; fortunately there are compelling stories elsewhere to complement Rose’s. Nina Sosanya is excellent as spiky single mum Marcia who is forced to address her own relationship with her mother as she comes under intimidatory threat; Sylvia Sims as the kindly Elsie and Nicholas Farrell as a struggling businessman also do interesting work with their characters. Michael Maloney is also good as the unassuming Peter who ends up thrust into the foreman role, much to the delight of his in-laws who seize the opportunity to investigate the crime themselves to hilarious and yet revelatory effect. 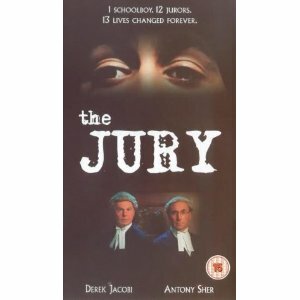 Antony Sher and Derek Jacobi lend a heavyweight theatrical credence to their courtroom scenes, actually filmed in the Old Bailey, as opposing counsel, and though not the central focus, the case of the Sikh teenager accused of killing a chav in retaliation for bullying is an engaging one as it twists and turns with the victim’s family forcefully pressuring the jurors where they can and the racial element subtly exposing the preconceptions of so many people. It’s incredibly hard to track The Jury down unfortunately, I rented it, but you can watch a set of clips on YouTube which centre on Gerard Butler’s contributions which happily coincide a lot with McCrory’s scenes.